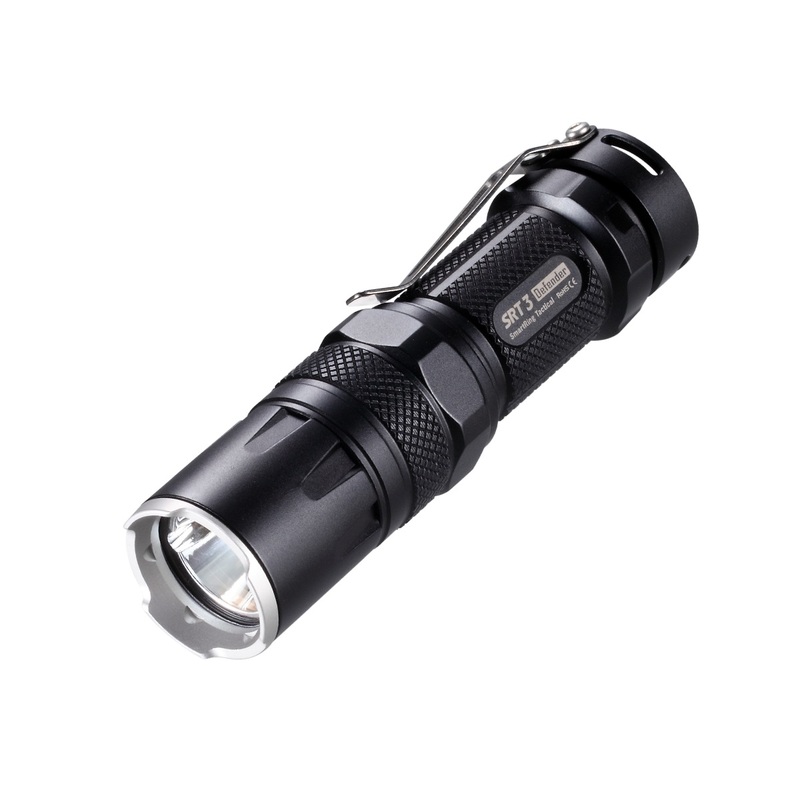 The Nitecore SRT3 Defender is a powerful LED flashlight designed with the needs of tactical users and outdoorsmen in mind. The unique interface features a tail switch for one handed momentary and constant on. The tail switch is coupled with the revolutionary Smart Selector Ring (SSR) located near the bezel. A twist of the ring moves the user easily through outputs modes. The modes include red and blue LED settings, a police warning signal, a brilliant strobe, SOS beacon, a turbo output, and perhaps best of all, a variable output. Click the ring into the variable output position and then twist further for an incredibly smooth transition from any output between 0 and a maximum of 550 lumens. The variable output mode allows the user to stop at a precise output for ideal lighting in any situation. SRT3 features an advanced XM-L2 T6 LED, a precision crafted smooth reflector, and a super-tough body constructed from hard-anodized, aero grade aluminum alloy. You can buy the Nitecore SRT3 Defender in our store for best price and Free Worldwide Shipping! Very good post! If someone is looking for a good Led flashlights with good performance, I recommend gearvita.com. 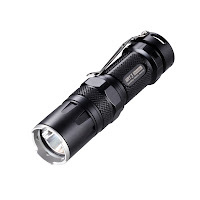 There are many different brand flashlights including Nitecore, Olight or Fenix. That may be a good option.